Today the Illinois Network of Centers for Independent Living mourns the loss of Ann Ford, our founding Executive Director. Ann secured a place in history as a trailblazing organizer for people with disabilities who spent her entire adult life fighting for civil rights, integration and inclusion. Her work to launch and lead the Illinois Network of CILs brought a stronger and more focused voice for the Independent Living movement to lawmakers. Ann never shied away from telling the truth about the impact of state or federal policies on Illinois’ disability community. She carried herself with a gentle demeanor undergirded by a tenacious commitment to justice, fairness and knowledge of the struggles faced by people with disabilities worldwide. Ann had credibility in the corridors of power because she was honest, direct and steeped in personal and professional experience with the Independent Living philosophy. She fought against harsh changes to rules impacting home caregivers, worked successfully to expand programs to help transition adults from State Operated Developmental Centers, institutions and nursing homes back to the community, and oversaw a statewide drive to bring decent health insurance to people with disabilities. Ann was also a beloved mother, sister, doting grandmother and great-grandmother — who left a legacy of respect for all people, public service and humanity. She received many awards for her advocacy, including most recently from the National Council on Independent Living in 2017. Ann was prominently featured in Lives Worth Living, a 2011 documentary on the history on the long battle for disability rights in America. She will be missed but her life will be permanently celebrated by the Illinois Network of CILs, along with disability advocates across the country. 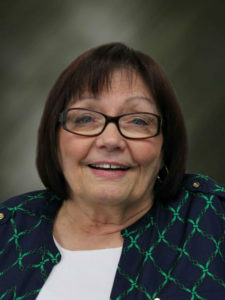 The Ann Ford Independent Living Professional Development and Education Fund honors her work by providing opportunities for CIL staff in every corner of Illinois to pursue their dreams of assisting people with disabilities to enjoy a full, free life — the mission Ann devoted more than three decades advancing. At her family’s request, contributions in her memory can be made to Ann Ford’s Fund, 1 W. Old State Capitol Plaza, #501, Springfield IL 62701. Read more at incil.org.